Andrea is an associate attorney in our conveyancing department. Andrea matriculated high school at Pinelands High School and went on to study an LLB through UNISA. Andrea was admitted as an attorney in 2014 and a conveyancer in 2015. 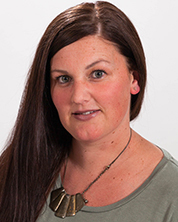 Andrea has found her passion in conveyancing and strives to achieve the level excellence of her mentors at the firm.